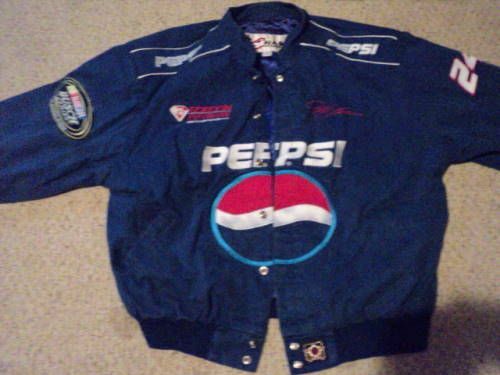 Hello I have a mint condition Jeff GordonPepsi NASCAR leather jacket made by JH design. This is from NASCARs Busch series. Size XXL There are no scuffs or tears. Still stiff. Hasnt been warn too big for me. 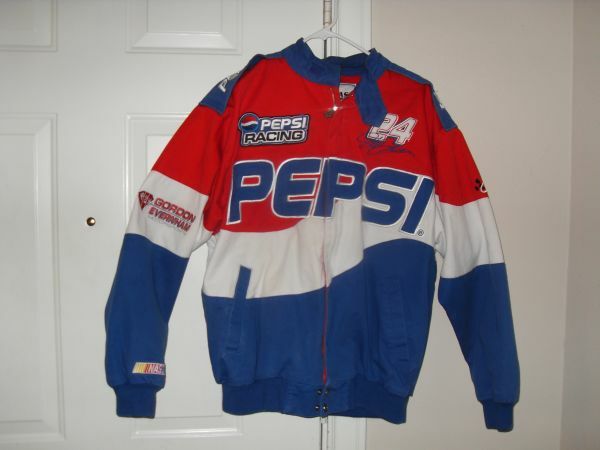 JEFF GORDON 24 GORDON EVERNHAM MOTORSPORTS PEPSI AUTHENTIC NASCAR JACKET SIZE XXL NEW CALL 773-807-3040 Location CUMBERLAND IRVING PARK RD. Jeff Gordon and Pepsi. Like new warm heavy duty leather jacket $120. Call to see the Chase lg. jacket. Spotsylvania Va 22553 I won this jacket only 3 made then and it is too large for me.